© 2015 Hiro Mashima, Kodansha Ltd. 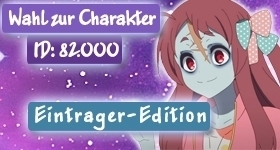 Many years ago, Mavis Vermilion was a servant on Sirius Island, mistreated by a guild master and his daughter, Zera. But Mavis stayed positive, because her mother once told her that fairies never visit people who cry about their problems. When the guild came under attack, Mavis pulled Zera from the wreckage into the forest. Seven years went by, and the powerful wizards Warrod Sequen, Precht, and Yuri Dreyer arrived on the island, seeking a powerful jade gemstone. This journey would change the course of magical history. You thought deeply about the manga “Fairy Tail Zero” and now you think it’s time to put these thoughts into words and to do so in a well-structured form? Then now is your chance to be the first to share your review about “Fairy Tail Zero” with our community by creating a review thread for it and posting your review there. Use the button below to quickly create the thread! 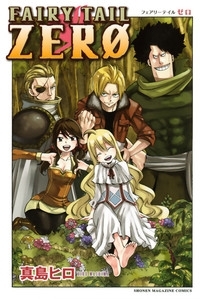 You want to share your opinion on the manga “Fairy Tail Zero” with other members of our community, but you don’t really have enough to say about it to fill a whole review? Then don’t hesitate to create a comment thread for “Fairy Tail Zero” using the following button and be the first to share your thoughts!